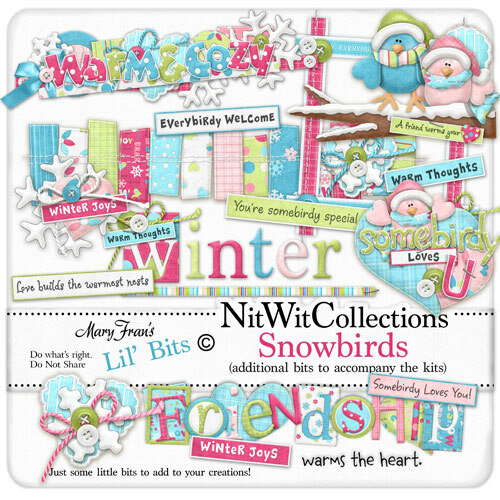 Here are some "Lil' Bits" that are great little additions to my "Snowbirds" Fat Quarter Bundle kit. Yup, just some lil' somethin's to add that lil' extra to your pages! 6 wordstrips with various sayings!